Last week Liam showed me that he has been learning new skills I did not know he could do! 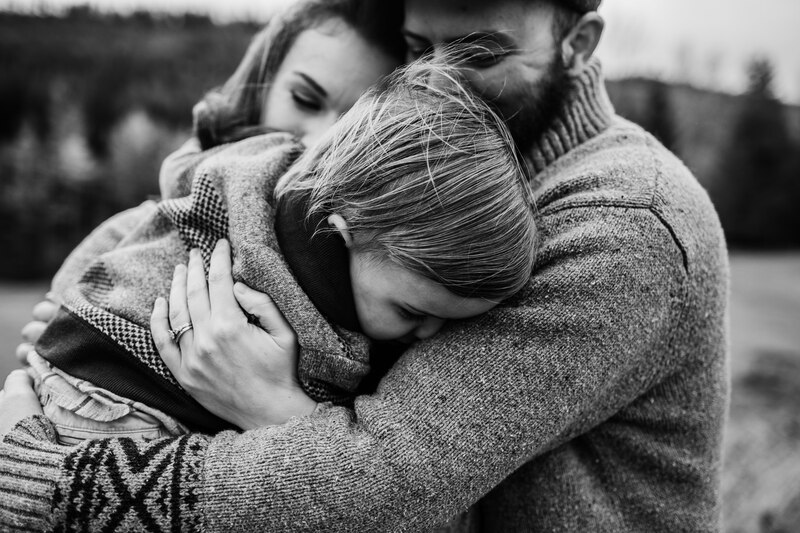 Below is a video showing you the joys of motherhood. 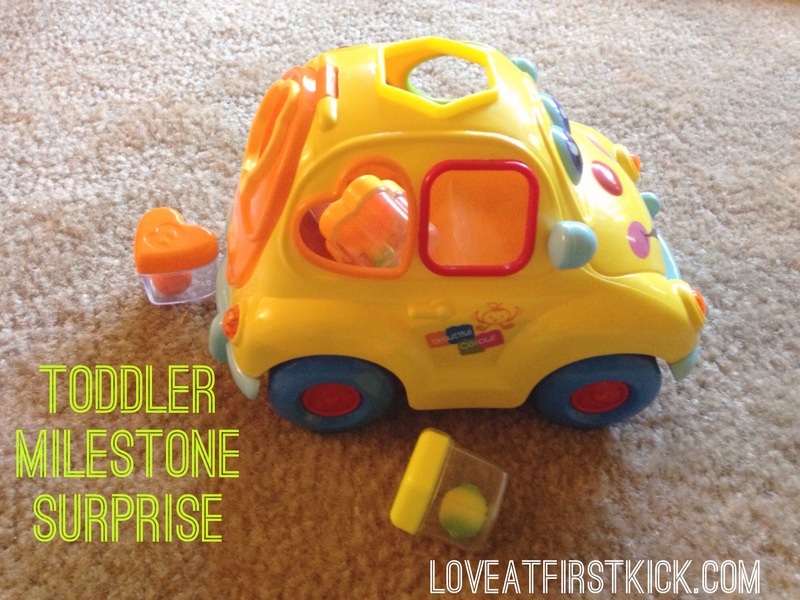 I am also doing a quick review of the toy with a 12 month old boy. Eventually I will update this as the months go by while he continues to learn how to use this toy. This is a nice quality learning toy. 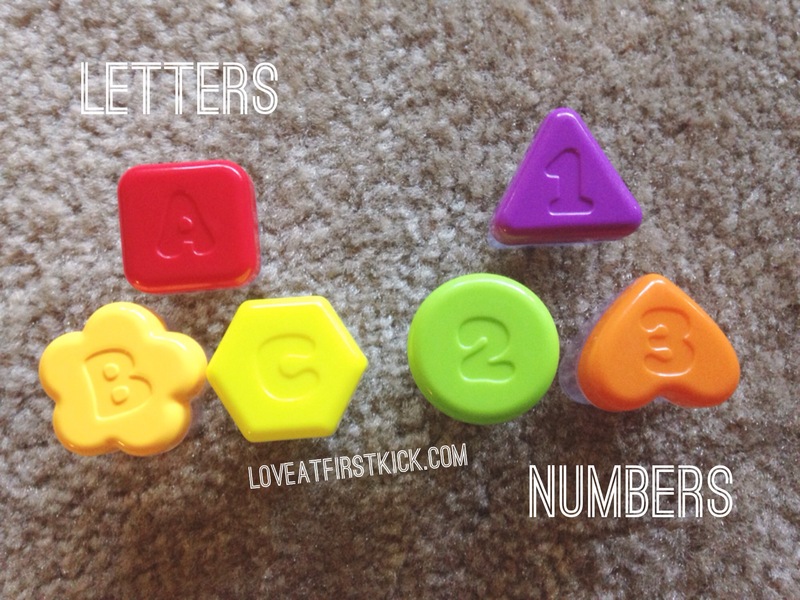 I love that it not only teaches shapes and color, but also food, numbers, and letters. Inside three of the six shapes is a fruit that matches the color and a shape on the top that starts with that food. The other three have the numbers 1-3 on the top with a fruit inside as well. Example: letter B goes with the yellow banana. The hatchback trunk opens up and teaches children how to open and close. The toy plays music and moves around when you turn it on using the switch on the bottom of the car. You also have an option to turn off the music while it moves. The one thing I did notice that was off is in the second picture below: the 3 on the heart is backwards, so you would need to put the heart upside down to show that it is a 3. When looking around to see where my cousin got this toy, I see it is not easy to get as in it is not in local stores. It is not an American toy so you must order online. I found a site that sells it here. Thoughts about the toy: This is one of the toys that Liam plays with the most. 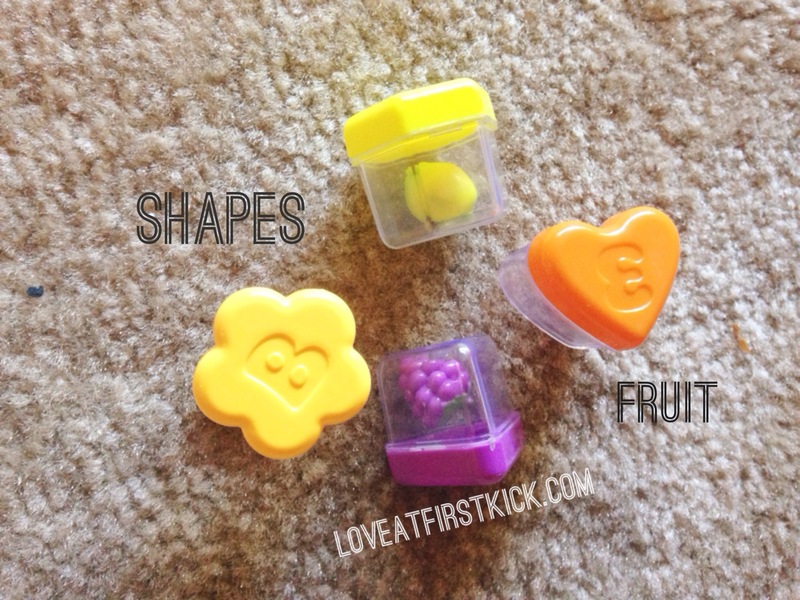 He loves to put the shapes in his mouth or shake the shapes to hear the fruit hit the plastic to create noise. He also likes to push the car around. I love to also interact with him to teach him to put the shapes in the right hole and eventually teach him about the other features like the colors or numbers. I will update later once we get batteries of the movement and music feature mentioned above. Here is a youtube video demonstrating it. I will film my own video to share of Liam playing with it as it drives around soon. What has your child learned recently? What toys do you play with your one year old?